Indulge in a vacation unlike any other, where relaxation, luxury, and recreation come together to form the ultimate vacation destination. Nicolet Shores provides upscale timeshares for sale located in the northern lakes of Wisconsin. This idyllic area is ideal for a break from the hustle and bustle of everyday life, allowing you to stop and take in the beauty of your surroundings. Whether traveling alone or with family or friends, you are sure to make the most of your vacation at Nicolet Shores. Nicolet Shores Resort offers fabulous Wisconsin timeshare resales, allowing you to enjoy a vacation condo with a variety of floorplan options. Choose a first-class chalet, with a three-bedroom layout and bonus loft area; or, choose a private villa with one-bedroom and separate loft area. Both accommodation layouts are well-appointed with a fully-stocked kitchen, upscale furnishings throughout, plus private balcony area, satellite television, Wi-Fi access, fireplace, sleeper sofa, and linen service. 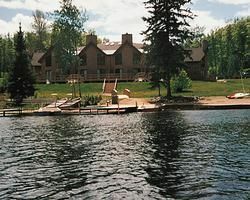 Nicolet Shores Resort’s Wisconsin timeshare resales are ideally located in the middle of Wisconsin’s northern lakes wilderness, situated in the middle of seclusion. The resort offers several off-site activities to get you out into the wilderness, including snowmobiling, cross country skiing, ice fishing, and snowshoeing in the winter months, and hiking, biking, and water rafting in the warmer months. Sit back, relax, and indulge during your stay at Nicolet Shores Resort. The resort offers many on-site recreation activities aimed to keep you relaxed and delighted. Enjoy the indoor swimming pool area with hot tub, lake area with small beach and private dock for canoeing, fishing, kayaking, and exploring in a rowboat. Those looking for a friendly game needn’t look too far – the resort boasts several sports courts including shuffleboard and volleyball, plus indoor billiards, racquetball, and ping pong. Contact Nicolet Shores Specialist Today!